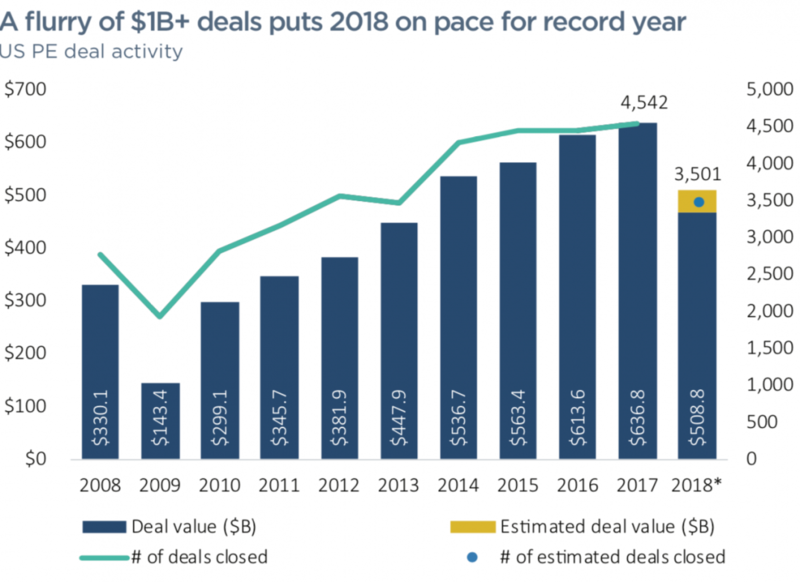 M&A activity remains high in the US with 3,501 deals completed year to date. Valuations remain high for private equity deals. 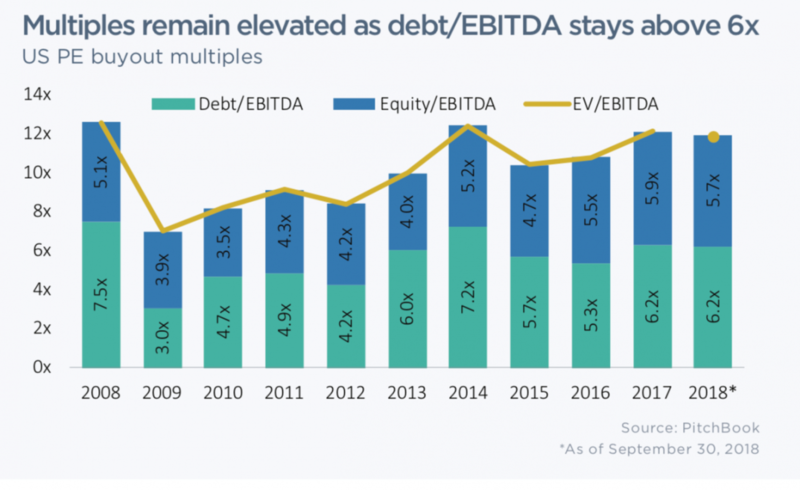 Across industries, the average purchase price multiple is 12x and the debt to EBITDA ratio persists at 6.2x. 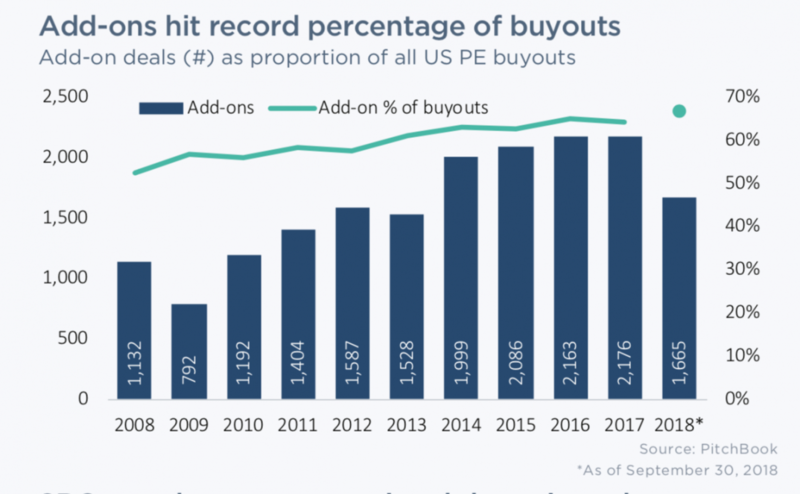 The majority of deals are add-on acquisitions for private-equity backed platforms. 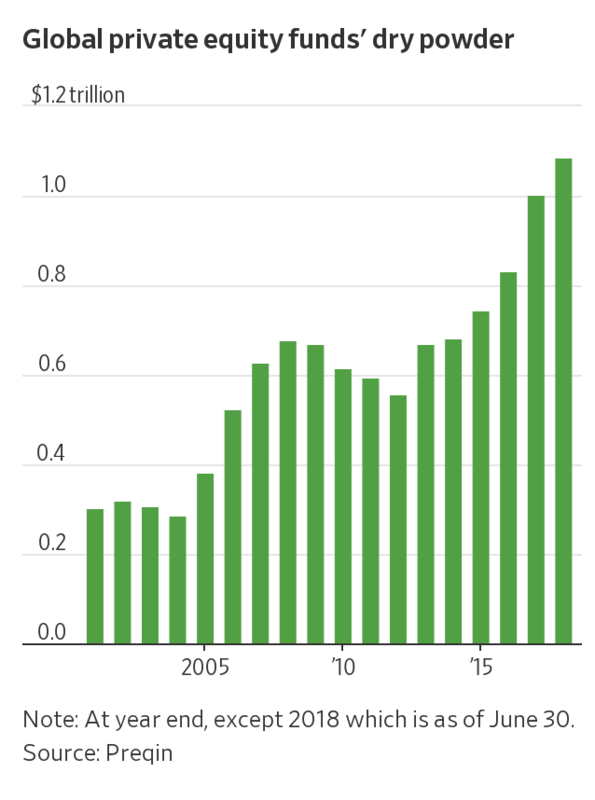 A significant driver of this M&A activity is the private equity firms’ $1.1 trillion of uninvested capital. The competition for deals has increased.